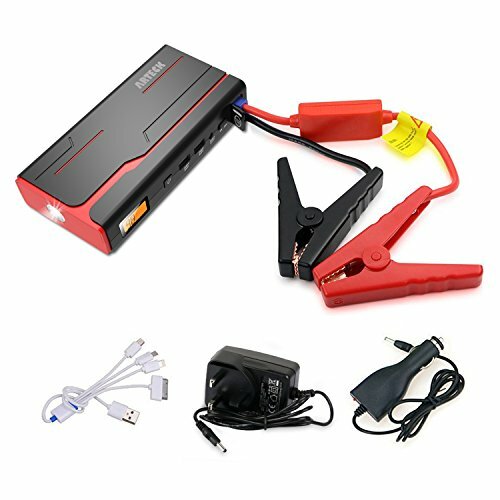 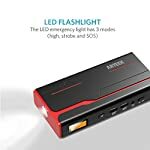 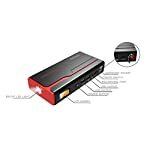 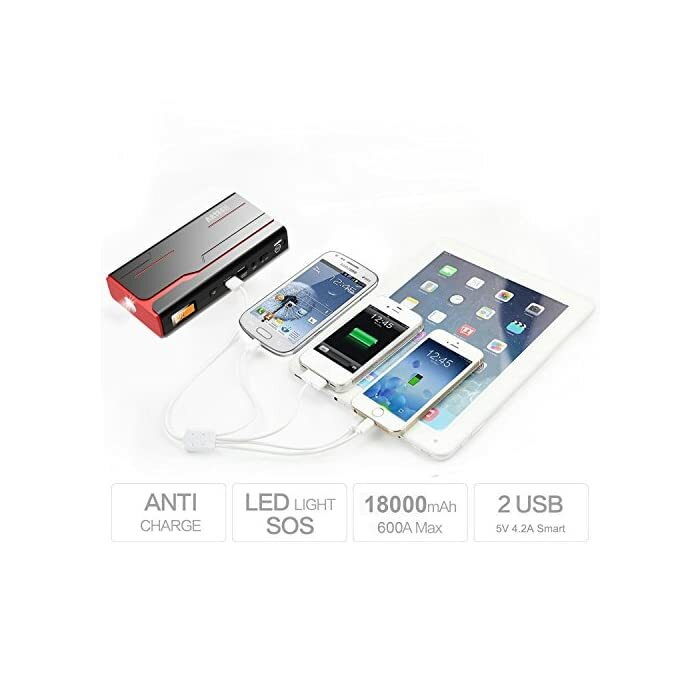 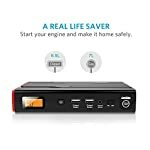 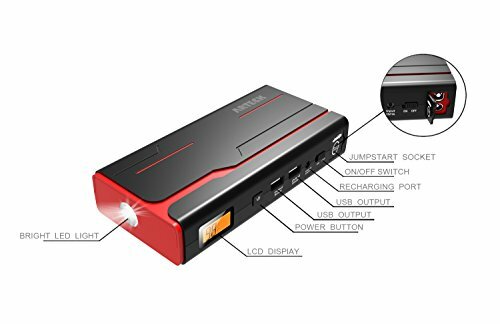 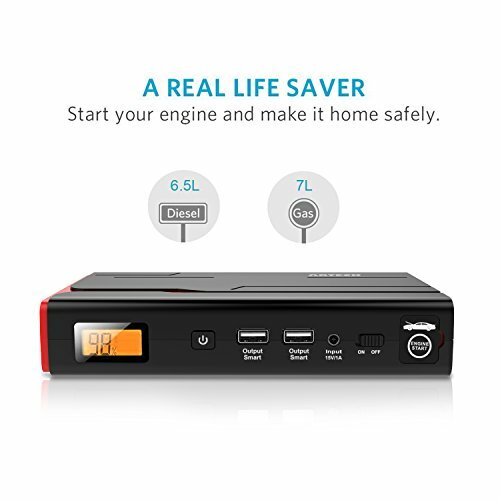 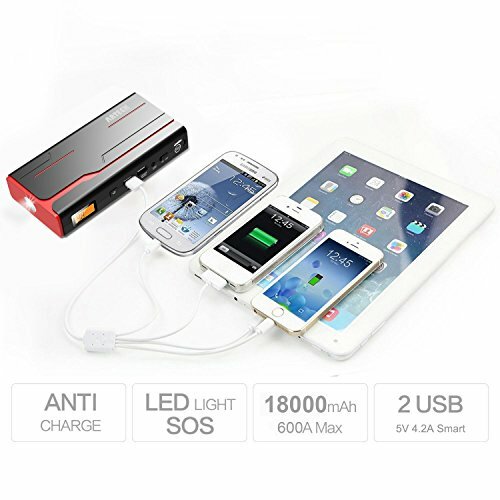 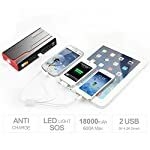 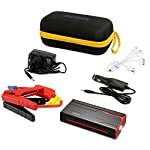 ARTECK 600A Peak Car Jump Starter (Up to 7.0L Gas or 6.5L Diesel) Auto Battery Booster and 18000mAh Portable External Battery Charger for Automotive, Boat, Phone with Adaptors, 12V Jump Leads, LED | PHDsmart Ltd. 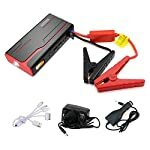 If your car won’t start don’t call a tow truck service or wait on the side of the road for help. 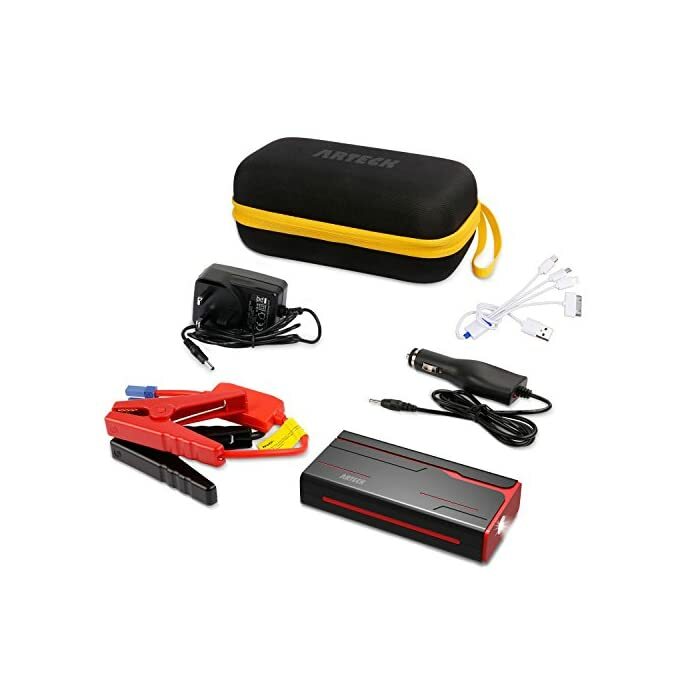 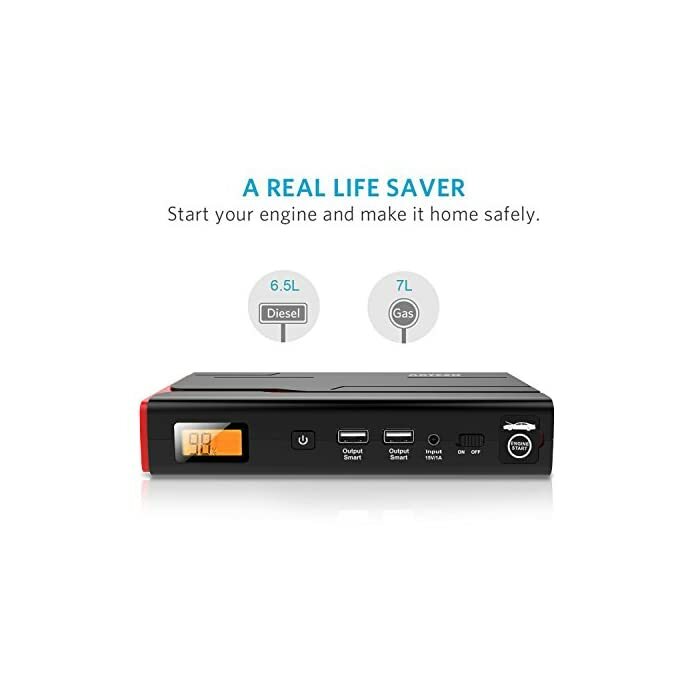 Use the Arteck with the jumper cables to start your car battery in a matter of seconds. 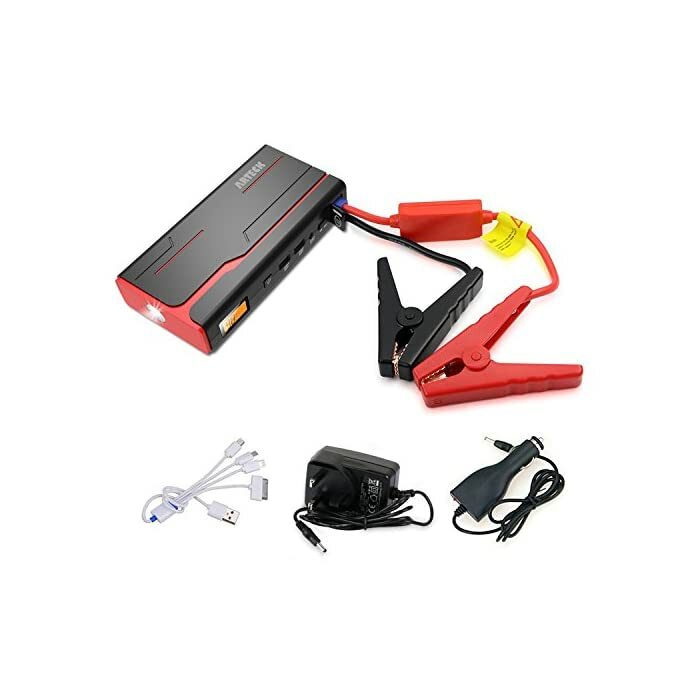 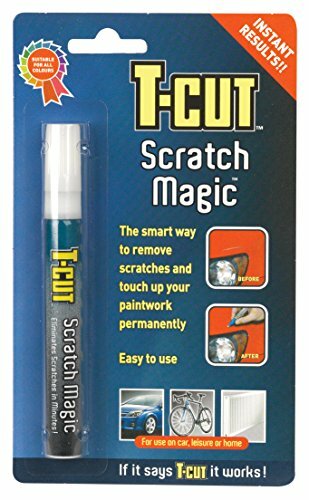 Jump your vehicle up to 20 times on a single charge, with heavy duty cables and clamp built in. 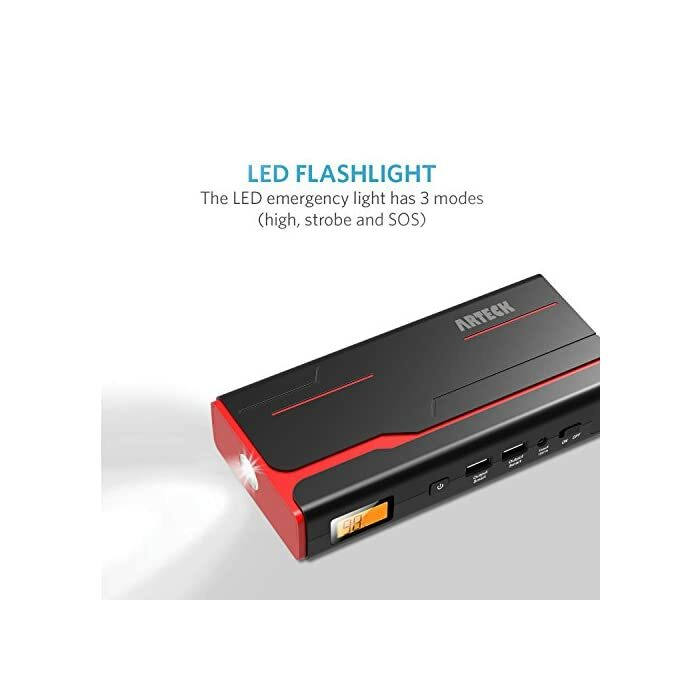 The ultra-bright LED flash light has 3 illumination modes, a flash light when you’re in the dark, a strobe light to attract attention, and an SOS signal flash that will last up to 120 hours on a full charge for when you’re outdoors and in need of emergency help. 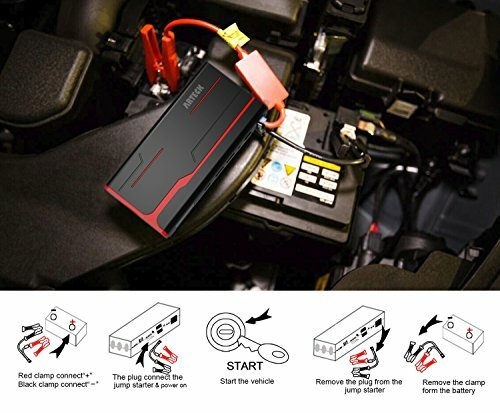 WARNING: Always connect the BLACK clamp to the negative ( – ) terminal of the car battery first, then connect the RED clamp to the positive ( + ) terminal. 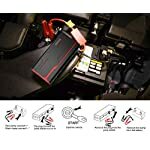 Do not touch the RED and BLACK cable clamps together or connect both cable clamps to the same piece of metal to prevent personal physical injury and damage to the device and/or the vehicle.